Sheringham Community smallholding is about to enter a new phase of its existence. Since its opening, The Patch has played a huge part in the lives of many people from High School, Sheringham Primary and Woodfields School students, to members of the public and members of particular community groups. 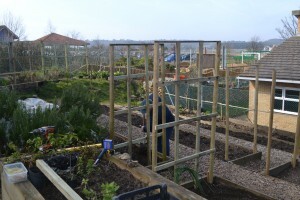 It has won the top award for small horticultural projects at the Norfolk Show, appeared on the BBC’s Gardens From The Air and year after year has provided produce to schoolchildren and local restaurants. Its value in offering horticulture qualifications to High School students, offering sensory stimulation to Woodfields students and environmental enrichment to Primary students, is inestimable. The decision has now been taken to apply for Charitable status for The Patch which will allow it to apply for a wider range of funding streams to ensure its future and to expand its influence and impact. The Patch is a fantastic facility and an oasis of true, rural, Norfolk expertise and craft in a fast-moving technological world and we are proud of it. Keep a look out for further updates on the High School website and, if you would like to make any kind of donation of funds, gardening materials, equipment or would simply like to see the facility for yourself, just contact the Headteacher at Sheringham High School. The Patch has been successful in obtaining a donation of £250 from the EDP Community Chest Campaign (Feb 2016 round of decisions). The money will be used to develop raised beds and growing space to accommodate more schools and groups over the coming months and years. 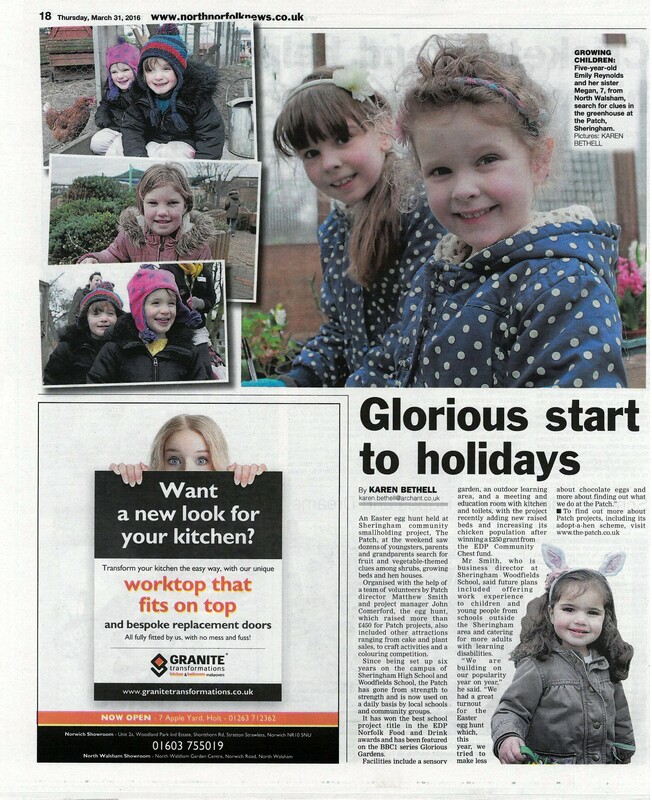 We wish to thank everyone who has helped collect vouchers for The Patch – your support is very much appreciated. Want to know who else was successful – find out here. 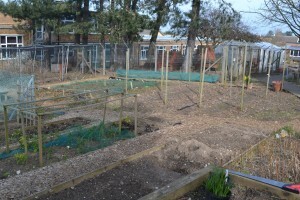 Final preperation underway to get everything ready for the new growing season. Raised beds ahve been turned over, new growing structures created and lots of seedlings appearing within the 2 greenhouses! 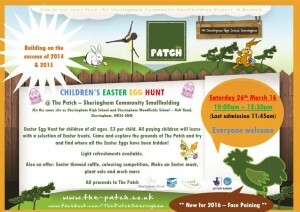 The team at The Patch and the Easter Bunny are working hard to put the final arrangements in place in connection with this years Easter Egg Hunt. Hope to see you there.